Death has become a mere word. The number of deaths is a simple statistic.Life is “nasty, short and brutish”. Even in such vile atmospheres where life and death are fast becoming meaningless a single man’s or woman’s death too cannot have any meaning. Yet there are people whose deaths diminish all of us. Their departure leaves us sad and shattered. The loss is not to the nearest and dearest alone but to all of humanity. The death of Ketheeswaran Loganathan called generally as “Ketheesh” was one such instance. One more person capable of rising above hatred and insanity in present day Sri Lanka is no more. With his departure one more Tamil who wanted his people to live with equal rights in a united Lanka and champion that cause in the face of danger has been done away with. Only a few of us are left now. Ketheeswaran or Ketheesh was of Jaffna origin (Thunnalai South) but born and bred in Colombo. He studied at St. Thomas’s College Mt. Lavinia and Loyola College, Madras before proceeding to the USA for higher studies. He was the scion of an elitist Tamil family. Ketheesh had pronounced left leanings. One of his father’s brothers Tharmakulasingham was a well – known Samasajist leaders of an earlier vintage. Tharmakulasingham who contested the Point Pedro Constituency in 1947 on the LSSP ticket was a very popular leftist who died at a very early age amid tragic circumstances. Many people feel that had Tharmakulasingham lived he would certainly have become a prominent leader of the left movement. In a way Ketheesh inherited this leftist legacy. Ketheesh Loganathan, received a Bachelors degree in Business Administration from Georgetown University in Washington , USA and a Masters in Development Studies from the Institute of Social Studies at Hague, Netherlands. He also worked on a masters degree at the Institute of Development Studies in Sussex, UK. Ketheesh belonged to a segment of Jaffna Tamil society that lived and studied outside Jaffna but retained a positive love and interest in the land of their ancestors. Life for this category would have been entirely different if there was no ethnic oppression in Sri Lanka. Even then it was possible to have gone abroad and lived a life of luxury and seclusion from Sri Lankan politics. But some of these people did not do so. Instead they chose to engage in political struggle and worked for the emancipation of the Tamil people in a united Sri Lanka. They were able to see both sides of the question and bring a sense of balance and moderation to the prevailing discourse that was often rabid. The ability to see both sides and understand the other mans point of view is often a great blessing. But in contemporary Sri Lanka it was a curse. It often made you an outsider in both camps. Ketheesh belonged to this rare breed of persons. At the time of his death Ketheesh was Deputy Secretary – General of the Secretariat for coordinating the peace process (SCOPP) and Secretary of the All Party Representative Committee (APRC). This makes him appear as a pro – government “establishment” man. The eulogies heaped on him by the “Govt guys” reinforce this impression. This is perhaps the unkindest cut of all. The life and times of Ketheeswaran Loganathan would demonstrate that he was at no time a toady of anyone least of all a Govt in power. He was a fiercely independent man of thought and action. Let there be no mistake Ketheesh was a Tamil Nationalist. Not of the variety that has descended into violence and barbarity but of the kind which believes in a negotiated settlement ensuring Tamil rights through federalism in a united Sri Lanka. This is a vanishing species but some of us are around still. It would be a great injustice to Ketheesh’s memory if one were to view his life only through the present prism. His was a life that dedicated itself to service and sacrifice for the betterment of humanity. After returning from abroad he worked as a researcher at the Marga Institute (77 – 79) and Social Scientists Association (79 – 81). He worked on issues of development and under development. It was then that his father now retired launched an enterprise aiming to generate funds and economically develop the badly neglected and deprived North – East. Possessing a romantic streak and a wistful nostalgia for an “imagined” Jaffna Ketheesh went to Jaffna and took charge of his father’s project. At the same time he co – founded another institution for North – Eastern development called DEREC ( Centre for Development Research, Education and Communication) in Jaffna in 1981. It was during this stay in Jaffna that Ketheesh’s life was taken over by revolutionary politics.. October 1981 was the time of the First Congress of the newly formed Eelam Peoples Revolutionary Liberation Front (EPRLF). A close and trusted friend joined the EPRLF and convinced Ketheesh that he too must do so. So Ketheesh joined what was then a revolutionary political organization. The 1983 July anti – Tamil pogrom changed life drastically for Tamils. Different people responded differently. Ketheesh went to Chennai and became a full time activist of the EPRLF. Having independent means he did not lead a commune or camp life like many of his other comrades. He stayed in a flat within walking distance of the EPRLF’s Eelam Peoples Information Centre (EPIC) at Choolaimedu and attended office dutifully. It was during this period that Ketheesh forged a firm friendship with the lovable Pathmanabha alias Ranjan who was EPRLF Secretary – General at the time.Ketheesh and Varatharajapperumal were the EPRLF representatives at the famous Thimphu talks in 1985. He also represented the EPRLF in many negotiations with and without publicity. Then came the Indo – Lanka accord of 1987. Ketheesh returned home but took no part in the pro – Indian EPRLF North – Eastern Administration. He went to Hague and continued his higher studies.Kertheesh also got affiliated to the “Conflict Resolution Programme” of the Peace Research Institute in Oslo, Norway and was awarded a two year research fellowship at the Agriculture University of Norway to complete a study on the “Plantation system in Sri Lanka and the search for sustainable development”. After Padmanabha was killed by the LTTE in 1990 June Ketheesh’s role in the EPRLF began decreasing. Though he remained in the movement it was a case of being ” in but not of”. His relationship with the new leader Suresh Premachandran also deteriorated. Ketheesh continued to represent the EPRLF in public fora including the Mangala Moonesinghe select committee. Finally in 1994 Ketheesh formally quit the EPRLF but remained on friendly terms with many activists. Re-entering Academia Ketheesh served as a research consultant at the Centre for Policy research and Analysis (CEPRA). He authored the book “Sri Lanka: Lost Opportunities” in 1996. Ketheesh also took to journalism. He functioned as Consultant to the short – lived “Week- end Express” where he wrote a popular column “Truthfully speaking” under the pseudonym Sathya. He later wrote articles as “Sathya” for the Daily Mirror too. In 1998 he was awarded the Hubert Humphrey Fellowship and was enrolled for a year at the College of Journalism in Maryland University. Thereafter Ketheesh joined the Centre for Policy Alternatives and was in charge of the peace and conflict analysis unit. He played an important role in forging the “roadmap to peace” blueprint with the objective of taking the Oslo – facilitated peace process forward. Soon Ketheesh became critical of the direction the peace process was taking. He felt that the strategy of dealing with the LTTE alone was not a positive one. Instead Ketheesh felt that there should be an emphasis on human rights, pluralism and democracy for the Tamil people. Child conscription and exterminating of those with alternate political views by the tigers was particularly upsetting. Ketheesh became openly critical of the process and the conduct of the LTTE. This was not a popular position to take and soon Ketheesh was becoming increasingly isolated. This also placed him under LTTE threat. Increasingly pressured, Ketheesh once consulted Lakshman Kadirgamar and obtained some security measures for his protection. Ketheesh quit the CPA in early 2006 with the objective of taking up duties as research director at the Bandaranaike Centre for International Studies (BCIS). But he changed his plan when Mahinda Rajapakse offered him the Deputy Secretary – General position at SCOPP. He took up duties on March 29th 2006. In July he became Secretary of the APRC. This was a difficult decision for Ketheesh and he did consult some friends before taking it. Personally I thought it was a grave misjudgement on his part as I felt that Mahinda Rajapakse had a not so well hidden agenda for war rather than peace. The Peace Secretariat under PTB Kohona has become a propaganda tool. Yet Ketheesh took the plunge with two objectives. One he was naively optimistic of gradually influencing the regime positively. Two he felt someone like him should be embedded in the power structure that was virtually without any Tamil of significance in order to contain the anti – Tamil impulses. Despite his background and good intentions Ketheesh received flak from the Sinhala hawks. Sinhala expatriates objected to his appointment overtly and branded him an” Eelamist” and “Kotiya”. The JVP and JHU worked against him covertly. The JVP paper “Lanka” had a nasty article about him on Aug 6th 2006. Meanwhile Ketheesh himself was becoming uncomfortable and frustrated in his new assignment. For one thing an undeclared war was being waged with the SCOPP cheering from the sidelines. The All Party Conference was becoming a time – buying charade without any meaningful direction. Those who know Ketheesh well were of the opinion that it was only a matter of time before he quit the SCOPP and APRC. Being a man of principle and conscience Ketheesh could not have compromised with “evil” for long. Also he was not the kind of person to subordinate his personality to the whims and fancies of the powers that be. Sadly “Yaman “the God of death visited Ketheesh first. It was on August 12th the first anniversary of Lakshman Kadirgamar’s death. A Police team in plain clothes regularly checked up on Ketheesh due to security reasons. This was a security measure arranged for by SCOPP I believe. On that fateful day some “new” faces appeared at his residence 1B Windsor Avenue off Vanderwert place, Dehiwela. Instead of asking for “Mr. Loganathan”, as was usual, they asked for “Mr. Ketheeswaran”. Somewhat suspicious Kethees hesitated between front door and gate insisting on some identification. Instead the assassin fired a 9 mm. Five rounds were fired with three hitting him. He was taken to hospital but died upon admittance. 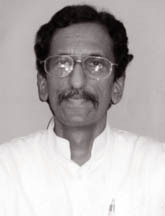 Though Ketheesh had for long remained an LTTE critic and often stated his views openly the tigers had not targetted him. If the LTTE was now responsible why did the tigers do so? was the question on the Tamil grapevine. Though the killers spoke fluent Sinhala they could have been an underworld gang given a killing contract by the LTTE. If the LTTE was indeed responsible the only plausible reason seemed to be Ketheesh joining the SCOPP and possibly his role in tha APRC. The LTTE “officially” ignored Ketheesh’s killing. There was no statement denying responsibility until its military defeat in 2009.. The Rajapaksa Government was said to be investigating the murder but there was no breakthrough in the pobe. As time pogressed Ketheesh Loganathan too has become one more statistic in the grim toll of those assassinated. C. Loganathan was a devotee of the Thirukketheeswaram temple dedicated to Lord Shiva in Mannar district. That is why he named his youngest son Ketheeswaran. May the soul of Ketheesh break the cycle of rebirth and attain heavenly bliss at the feet of Lord Shiva.